Puppy is no where to be found after he is missing during teatime. 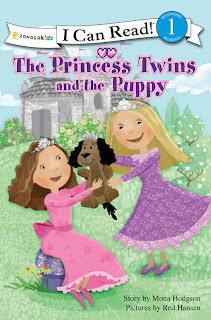 The two princesses become worried and start searching everywhere for him. 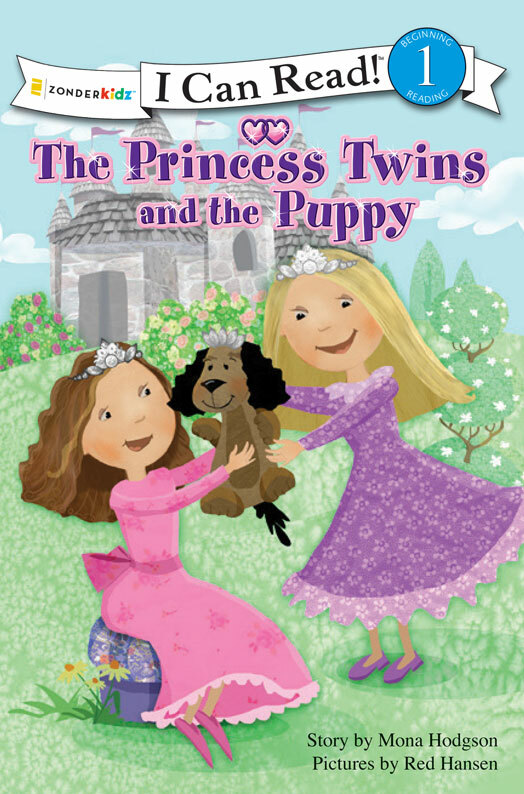 After hearing Puppy's helpless bark from the dark, scary basement, Abby must confront her fear of the dark by trusting God and asking for courage to rescue her beloved puppy friend. One princess sits out of all the fun activities through the day because she is afraid of getting her dress dirty. With a little encouragement and a nudge from the other kids, the princess learns to embrace God's little gifts: a lovely day, ladybugs, and even some mud. My 4 year old is 100% girly girl, she wears a dress every day!!! My daughter has never been to cautious of getting dirty though, we do a lot of crafts and play outside and since she is always in a dress she just assumes mom can get it clean later. I think my daughter was excited to see that the princess finally let go and went and had fun! Mona Hodgson is the author of more than twenty-two children's books. She lives in Cottonwood, Arizona, where she's learning to be a real girl of the Bible. Red Hansen began illustrating books during college when he as working at Waterford Institute, an education company dedicated to helping children learn to read by book and interactive methods Red has completed a number of books. He currently lives in Celebration, Florida, with his wife and children. the first I Can Read! book, Little Bear, writtten by Else Homelund Minarik and illustrated by Maurice Sendake, was published in 1957 and is still cherished by young readers. Today, I Can Read! is teh number one beginning reader series in the country. It features more award-winning titles, authors and illustrators than any other beginning reader series. It features more than 200 titles for readers at five beginning reading levels. ouch the soals of kids under 16 and the people who love them, from family members to educators.